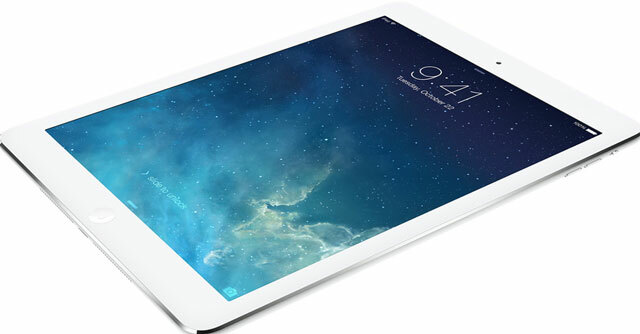 Apple’s new iPad Air will go on sale in South Africa before the end of next week, and will have a starting price of R5 999 for the entry-level 16GB, Wi-Fi-only model, the company’s local distributor, Core Group, said in a statement on Friday. The new iPad, which has a markedly lighter and thinner body – it’s 28% lighter and 20% thinner than the fourth-generation iPad – will be available by 6 December from iStore and Digicape outlets as well as Apple authorised retailers and cellular partners. iPad Air Wi-Fi models will be available in South Africa in silver or grey for a recommended retail price of R5 999 for the 16GB model, R7 399 for the 32GB model, R8 699 for the 64GB model and R9 999 for the 128GB model. The iPad Air with Wi-Fi and cellular will be available in silver and grey for R7 799 for the 16GB model, R8 999 for the 32GB model, R9 999 for the 64GB model and R11 499 for the 128GB model.